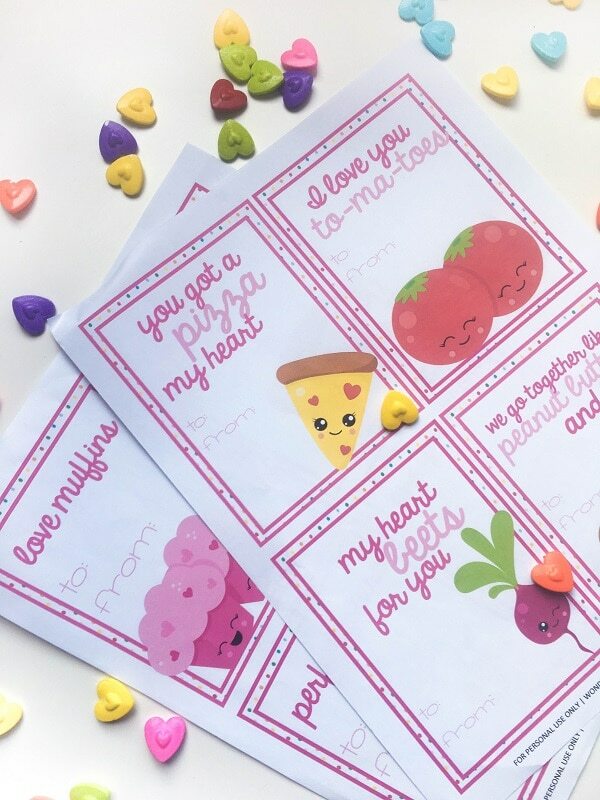 I wanted to share these adorable free printable Valentines with you because they are such an easy way to spread a little love! Like my other printable Valentines, they’re pretty darn punny, if I do say so myself. What is it about puns that makes you giggle and groan at the same time? They’re just a little bit corny, that’s why! That’s what makes them perfect for Valentines. Being a little silly makes it easier to express care and fondness for others, especially if you’re not normally openly affectionate. I think that’s part of the reason kids love giving and receiving Valentines so much! These free printable Valentines are ready to print and use right away. I recommend printing them on white cardstock so they’re somewhat sturdy. Then, just cut each card out along the pink outer border. I always have my kids write a compliment on the back of the card. This is a great opportunity to teach your kids to see the good in others and to help others see the good in themselves. 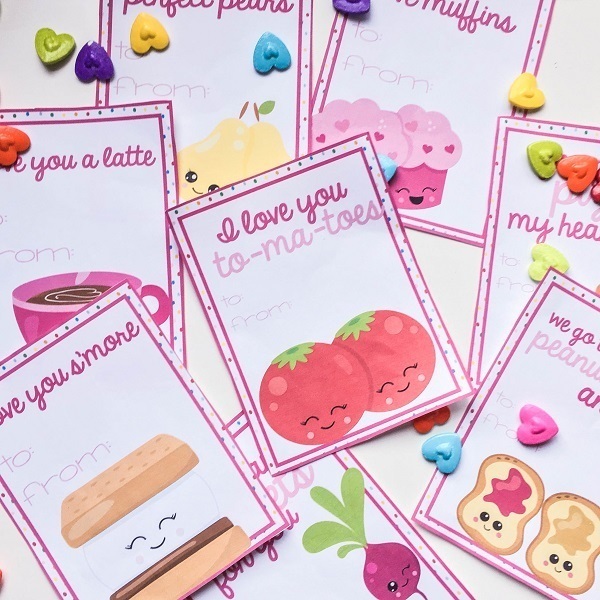 Get these adorable free printable Valentines by filling in the form below. 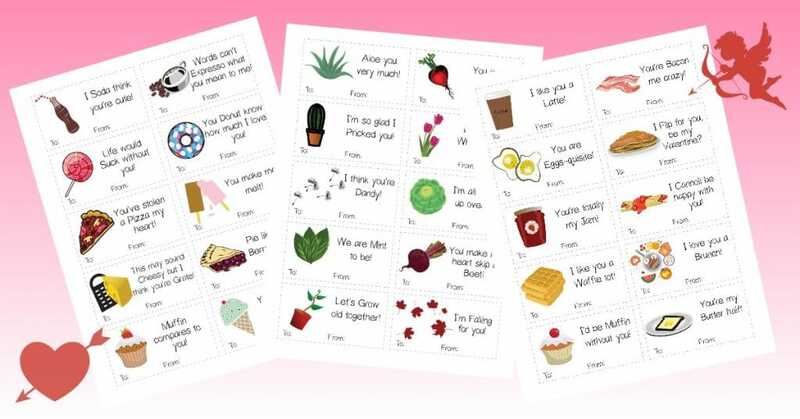 If you liked the puns on the free printable Valentines above, you might enjoy these other punny printable Valentines. All three sets (breakfast-themed, food-themed, and plant-themed) are free to download and print! 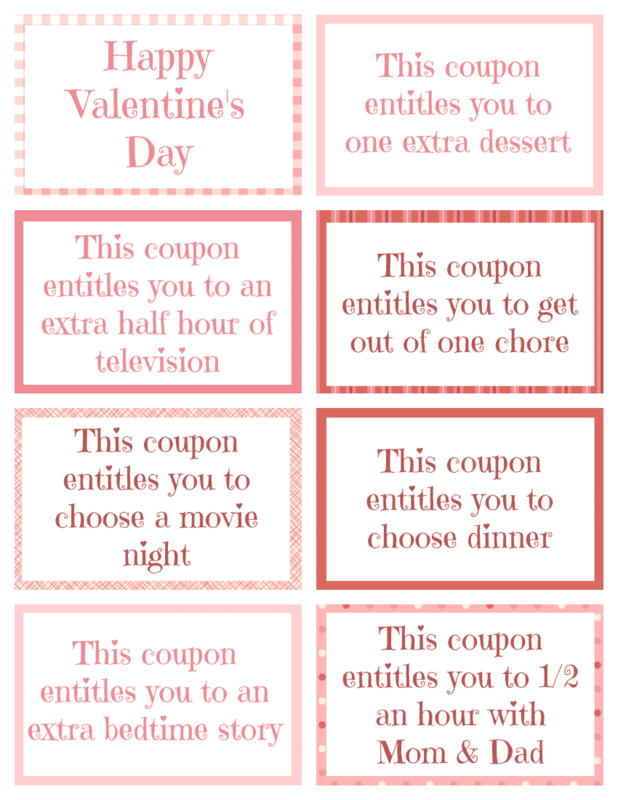 In lieu of Valentine cards, I give my kids Valentine coupons. These are a great way to show your love for them, especially since most of the rewards are your time and attention! And like the free printable Valentines, these don’t cost a dime. You don’t have to spend money to let your kids know how much you care about them. And these cute monster-themed Valentine coupons. 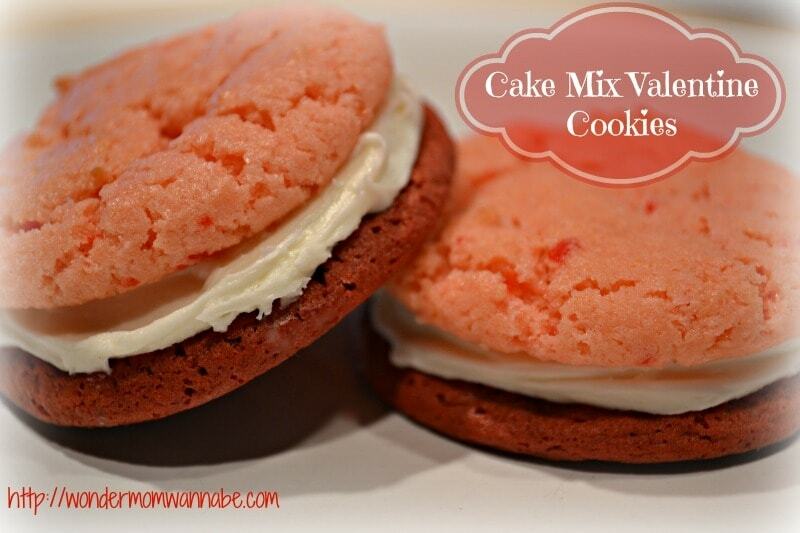 And as a special Valentine treat for my kids or class parties, I usually make these super easy cake mix cookies.